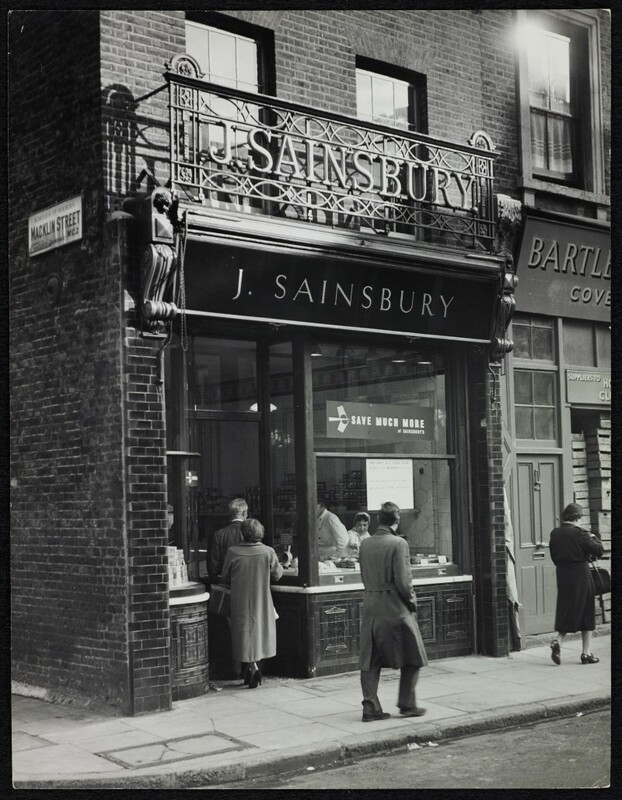 Photograph showing Sainsbury's first shop at 173 Drury Lane, London shortly before closure. A notice in the window advertises the closure. A poster "Save Much More at Sainsbury's" is in the window.